Type as many words as you can in one minute and see what your score it. Type a paragraph and see what your typing score is for speed and accuracy. Site by the BBC where you can make your way through all 12 stages to be the "top typist". 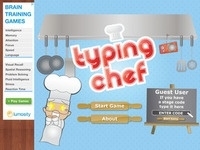 A range of fun games to practise typing. 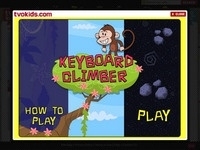 Help the monkey get to the top by typing. Rescue falling letters and words by typing them correctly on the keyboard. Type words while having fun in the kitchen. Press the correct letter to make the pacman move. Music typing game where you have to hit the correct note. 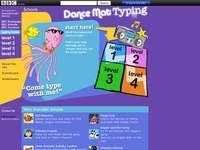 Help the spider climb by typing. Learn to type drills where you can choose exercises to work on. 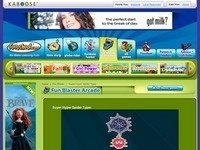 A collection of fun typing games for kids. 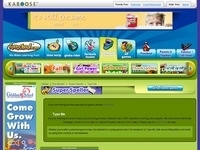 Type the letters above the critters as they fall from the sky! Your job is to put a keyboard back together. Tutorial to learn how to position fingers correctly on keys. Increases in difficulty.